Our homeschool is in an interesting place right now. While Lorelai has just begun middle school, Alexis is working her way toward graduation and college. She's currently an 11th grade student. I can hardly believe she's almost finished! In the high school years, especially in the junior and senior years, our focus is to provide challenging lessons and projects that will prepare the student for life beyond homeschool. In this case, the focus is to lead her into college. I also need products and curricula that encourage independent learning. We were a bit slower in moving her toward independent learning due to her profound dyslexia. But she needs to navigate that herself at some point, so here we are. One product we've decided to try is a science course from Paradigm Accelerated Curriculum. This year, Alexis is taking anatomy and physiology. While I don't think Alexis will pursue a career which necessitates knowledge of biology, I believe all kids should take the course. Every human should understand how the human body works. 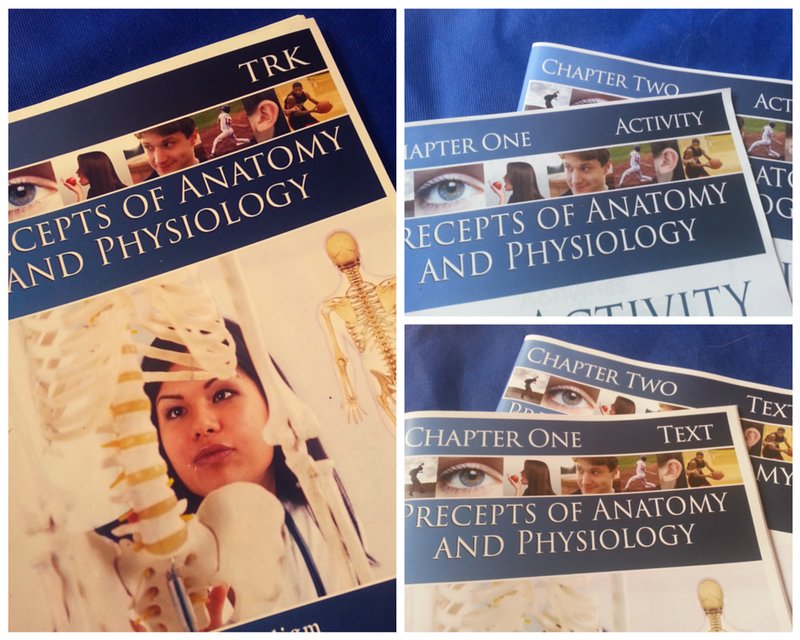 The Precepts of Anatomy and Physiology is a workbook-based course, which includes two chapters of text and two student activity books. This course counts as 1/2 a high school credit. PAC is available in digital, print, and online interactive. The digital format is audio enhanced, which is helpful to kids with dyslexia (like mine!) and can be accessed from tablets, computers, and smartphones. Perfect for independent learning. Everything is open-and-go, giving students the ability to guide themselves through the course. This course meets the two requirements I spoke of earlier in this post. Helps prepare student for college-level learning. Precepts of Anatomy and Physiology is intensive enough to challenge a student to the next level of learning, yet not overwhelming. It definitely provides Alexis the type of knowledge she needs to be learning as she moves towards college. Struggling with dyslexia, Alexis usually frowns at text-based work. Having the audio enhanced version allows her to move through the material more easily, overcoming the usually problems she has with comprehending language. The last three sections of this course discuss reproduction. The wording and drawings are age-appropriate, discreet, and do not cause the discomfort that some books can do. Note: This course teaches that life begins at conception. All in all, I think this course is perfect for my daughter and I plan to continue with other courses to help her earn her high school credits. 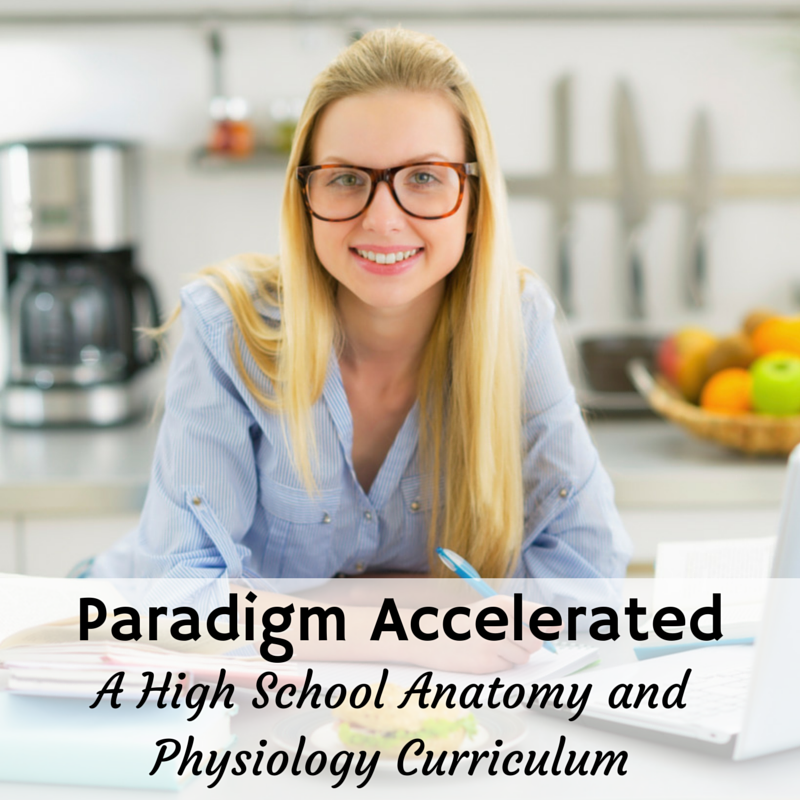 Paradigm Accelerated Curriculum offers generous discounts! Before placing your order, check this list to see if you qualify for any of them. Call Paradigm Accelerated at 325-649-0976 for a discount code to use during the checkout process if you fit into one of these categories. Great. Thanks for sharing. These products look great and as a single mom discounts are well liked but 40% unheard of! I'm going to order the English 1 Langauge Skills for my daughter who is starting high school in the fall. I agree! As a single mom, I'm thrilled with that generous offer. We used their Basic Science Mysteries. Now that they have their online courses, it may be time to revisit them. This is such a great idea! I certainly don't think that just because they may or may not pursue a career in the subject equates to taking it. Learning for the sake of knowledge is not only ok, but totally expected - in my opinion. It's about exposure to lots of different things. Just because I didn't become a doctor, I still found my anatomy lessons fascinating. It opens up new worlds - broadens horizons - and increases skills. Thanks so much for sharing, Michelle! I know at this age, a lot of parents start gearing the tasks towards the goal (what they take goes along with what they plan to do). I get that. But I also think some things MUST be learned. I don't expect my kids to memorize historical dates (what's the point? ), but I do expect they understand the human body.